1. BEST QUALITY, BEST CHOICE! 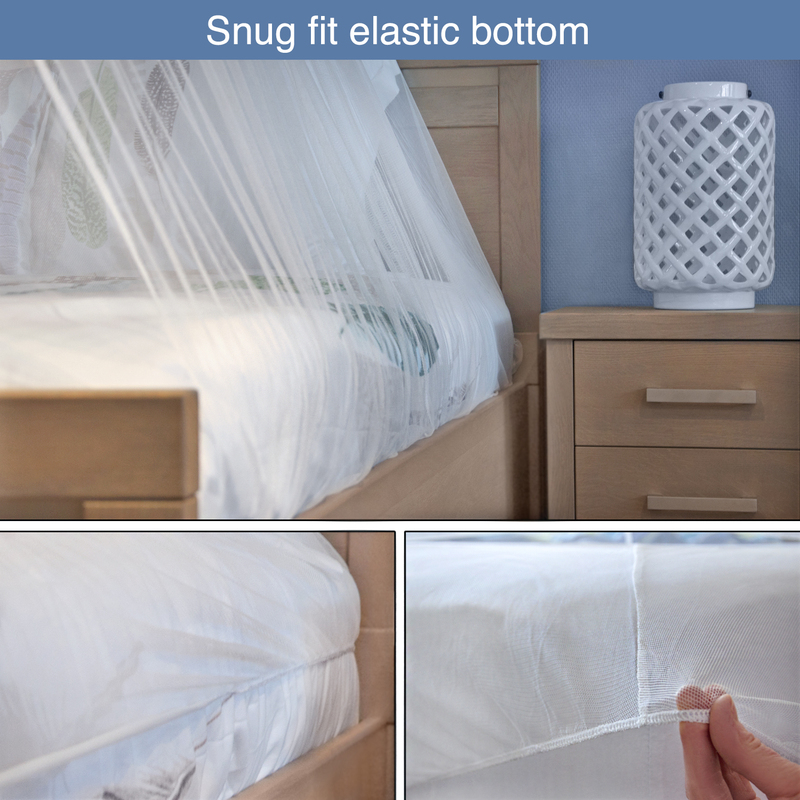 We designed the perfect net for you, equipped with unique elastics at each corner, creating a snug fit around your bed. There is also an elastic loop on top to prevent any tearing when one pulls the net down accidentally. 2. LIGHTEST NET & CARRY BAG! A decorative canopy for your bedroom and a must for overseas adventures. Our net fits any bed size: circumference 35 ft. and height 7.6 ft. 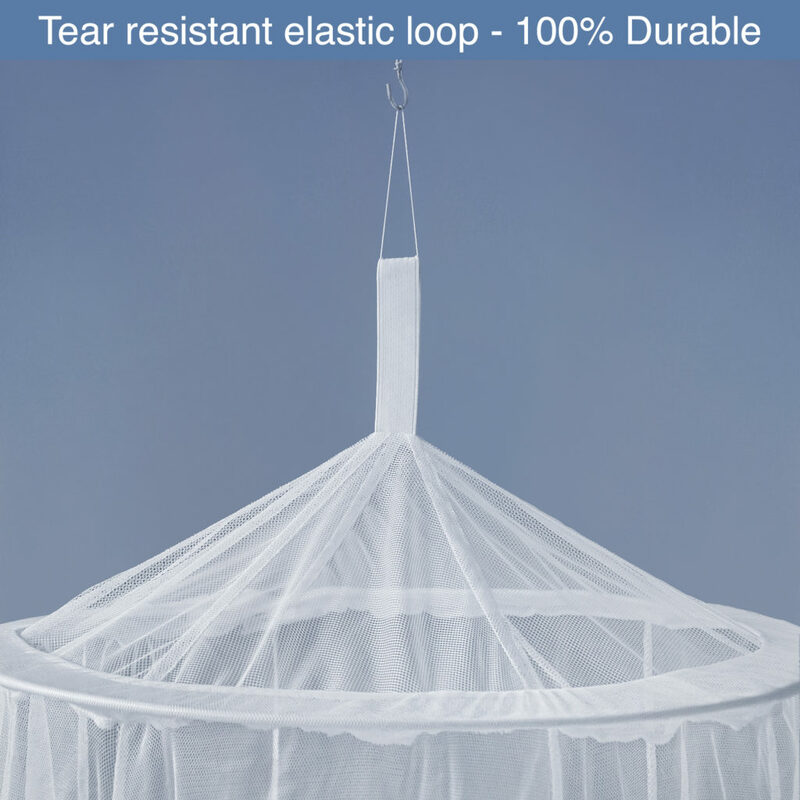 The fine-mesh netting, 156 holes per square inch, offers the perfect compromise between maximum mosquito protection and the best possible air circulation. 3. OVER 35 YEARS OF MANUFACTURING EXPERIENCE! The net material is 100% ultra-soft polyester (no chemicals used) and produced in accordance with the World Health Organization guidelines. Make sure to protect yourself and your family from (deadly) mosquito bites. 4. FOR HOME & TRAVEL! Easy setup with only one attachment point and the included hanging kit. Our enclosed canopy creates a cool and airy space over the bed. 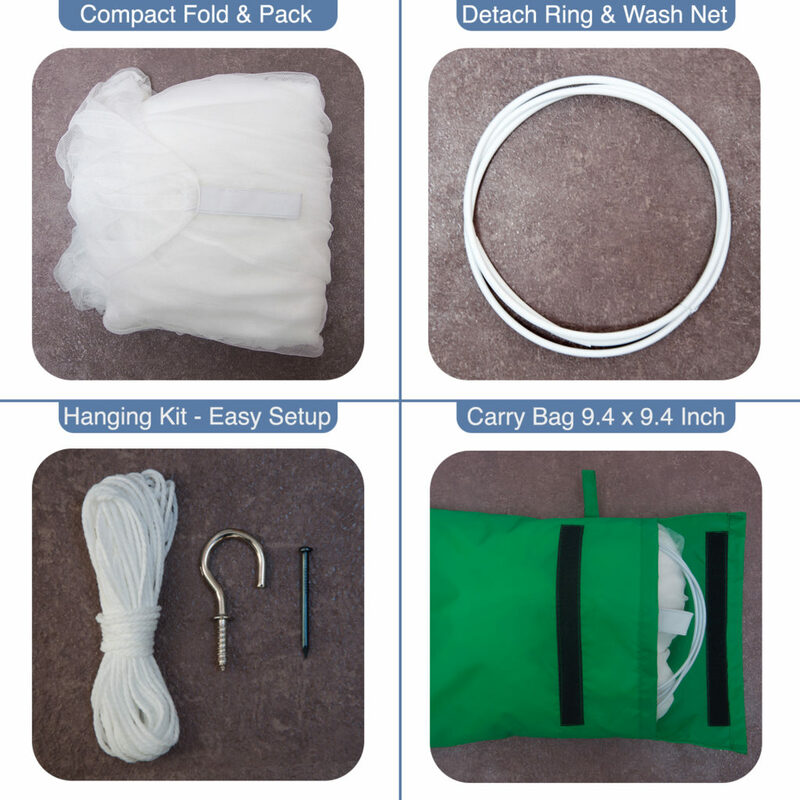 With a unique pop-up spring ring that can be detached to prevent any material damage while washing your net. 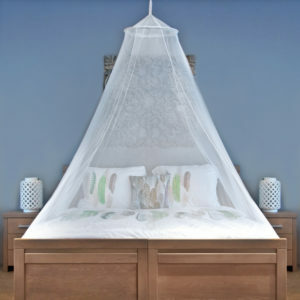 #1 MOSQUITO NET! We believe in our products and the quality that they provide. We are so certain that you will be completely satisfied with our wonderful products, that we offer a one-year unconditional money back guarantee. 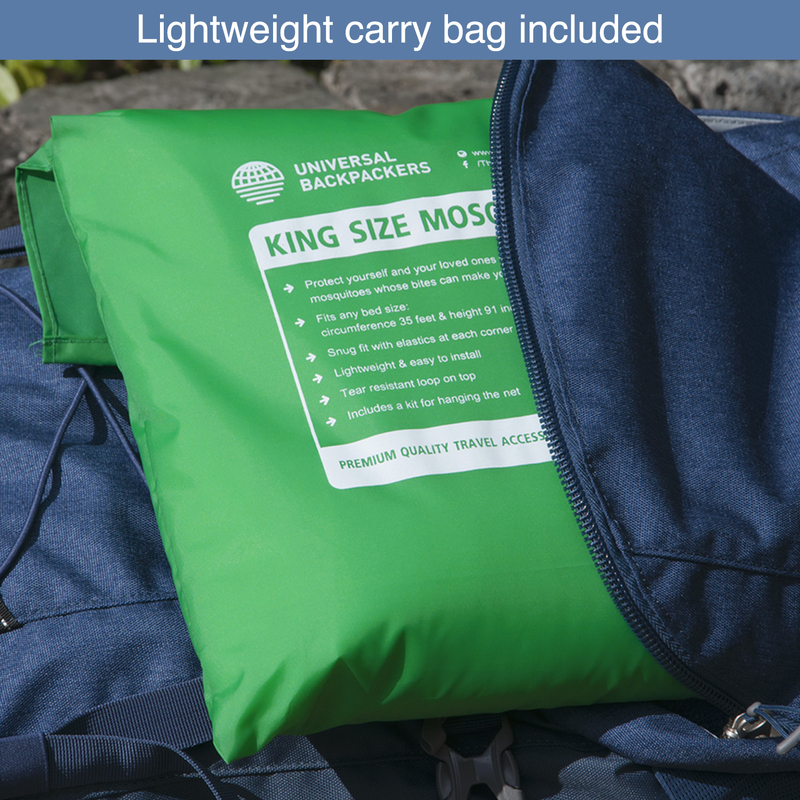 Order your Universal Backpackers PREMIUM Mosquito Net! Order your Universal Backpackers PREMIUM Mosquito Net on Amazon.com! Click here to purchase on Amazon.de.